DoT may decide against the Trai’s recommendations to allow Indian telecom operators on liberal payment terms for spectrum auctions, according to an Economic Times report. The DoT may not allow the recommendations because it could hit the government’s revenue collections. “The payment terms have already been eased. In the 2010 auctions, the government had received an upfront payment and later to support the industry, we changed it to staggered payment,” a DoT official told the publication. 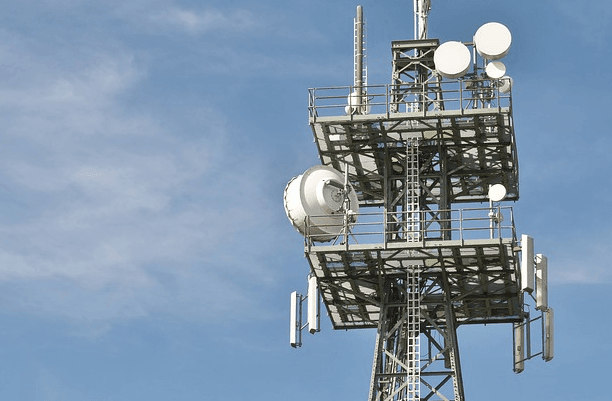 Under the current terms, a telco or spectrum winner is required to pay the entire money upfront or 25% or 33% of the total amount initially, depending on the band, and the remainder in 10 equal instalments after a two-year moratorium, the report said. In a bid to ease the burden for Indian telcos, the Trai had recommended that telcos be allowed to pay 10% of the winning bid initially for any spectrum in an auction. As per the recommendations, the balance, including interest, could be paid in equal instalments over the next 18 years. The Telecom Commission, an inter-ministerial panel, is scheduled to take a decision on the matter on March 30. The panel will also decide on the pricing and quantum of 700 MHz spectrum to be auctioned.The regulator had earlier suggested a reserve price of Rs 11,485 crore a unit for the 700 MHz band – the most expensive – and a block size of 5 MHz for the upcoming auction. All Rules & Regulation s are changed as per the whim & fancy to suit the Ambani Brothers. Even if one accepts for the sake of an argument the baloney which the original poster has posted, any of these changes hurting you or the public interest? Eventually it’s the telecom users who will benefit. Spoke like a perfect Modi bhakt. It can be clearly seen that these policies are only benefitting the Ambanis. Thanks for identifying me as a bhakt, always a compliment to be proud of. Bhakti is a timeless Indian tradition anyway so no shame in carrying it forward. It is not andh-bhakti mind you. By the way dude you chose the wrong side lol still have time, get to this side. We can already see your dark future. no need bro, anyways all are thieves at least this side does not do fake promise of 15 lakhs in every Indians account. Brother, I don’t support any political party because at end of the day all of them are going crucify the common man, be it here or there only the rich get honey. Well, good thing for pessimists like you is that eventually our bhakti would prove beneficial for all Indians irrespective of their political, ideological, religious affiliations. We know we’re on the right track (some people choose to be blind to the progress). You can stay neutral and do nothing positive for the country or join the strongest team, at least if nothing, later on you’d have the satisfaction of being on the winning side. Peace out! \m/ YOLO! Brother If u think I am pessimist, be it,but what winning side you are talking I can’t understand. For me none is winning because problems such as poverty, corruption,crimes are just increasingJaneBerry, why can’t these winning and loosing side do something meaningful to solve these concrete problems. These problems will be solved happen wen India wins, not our corrupt politicians on both sides. Arre bhai you can’t spend your life lamenting and saying everyone is a thief. Use your brain, see who’s working for bigger national interest and support them. Being neutral and indifferent has never helped anyone. We have to live here only. See positive things in life. Brother even I was having high hopes during the last elections, but after the elections I saw the reality.Modi is genuinely trying but I don’t trust the rest in his empire who constantly want to create policy of division. @Tremerin, bro don’t listen to paid media, go out and use your own judgement on how things are. Things are improving. Every party has idiots who keep blabbering nonsense and media magnifies that. Look at people like Piyush Goyal, Nitin Gadkari, Suresh Prabhu, Ravishankar Prasad etc. These are the people who matter and such important ministries are doing a great job. Only paid media is dividing people. So be positive and don’t wait for someone to put 15 l in your pocket but earn them yourself and become capable to put 15 l in others’ pockets (not bribe, lol). Very good. No one is bothered about this in Tamilnadu. The data price will soon reach Rs.500 per GB for 28 days in India where as VIVA offers 2048 GB any net home network data for 20 KD (Rs.4400) in Kuwait. This time around I did not find anything provoking by sudhakar. Even in Saudi Arabia, STC(VIVA is subsidiary of STC) provides unlimited 4g without FUP @Rs 1700/mth.